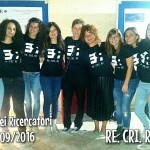 Last 30th of September the RE.CRI.RE. 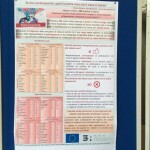 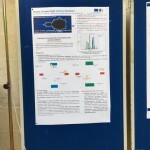 project was presented during the European Researchersâ€™ Night that celebrated its eleventh anniverary. 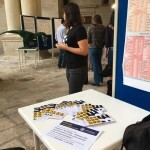 Launched by the European Commission in 2005, the iniziative took place in hundreds of European cities and universities with the aim to reduce the distance between the general public and the researchers disseminating scientific culture and information in an informal and stimulating context. 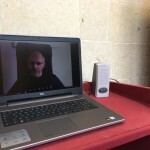 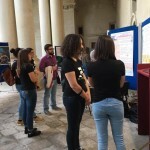 The University of Salento hosted the initiative in the picturesque scenario of the Convento degli Olivetani where prof. Terri Mannarini, partner of the RE.CRI.RE. 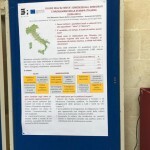 project on behalf of the University of Salento, organized a public exhibition during which the project was presented through a variety of tools â€“ such as posters, flyers and video â€“ to citizens, schools students, families and even children in an interactive way that stimulated the interest and curiosity of the audience. 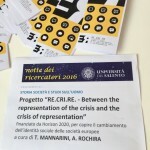 The general framework of RE.CRI.RE., its research rationale, the instruments of data collection as well as the main results achieved after the first year of activities were accounted to the spectators with a privileged focus on the expected implications of RE.CRI.RE. 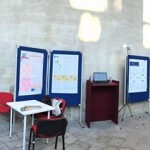 for the design and enhancement of effective public policies at European level. 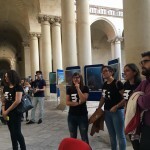 Thanks to the friendly atmosphere of the Researcherâ€™s night, RE.CRI.RE was shared with a non-expert public whereby a capturing story-telling that helped in explaining the ambitious aims of the project and its valuable goals.